The book has been an excellent read! I'm halfway through it and I have already changed one of my kiosk apps to use visual inheritance. It's a great book. I'm look forward to finishing and applying it. 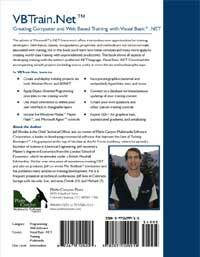 You did a great job of distilling VS.NET and VB.NET in less than 100 pages. I have before me Jeff's VBTrain.Net book and have been making my way slowly through it. 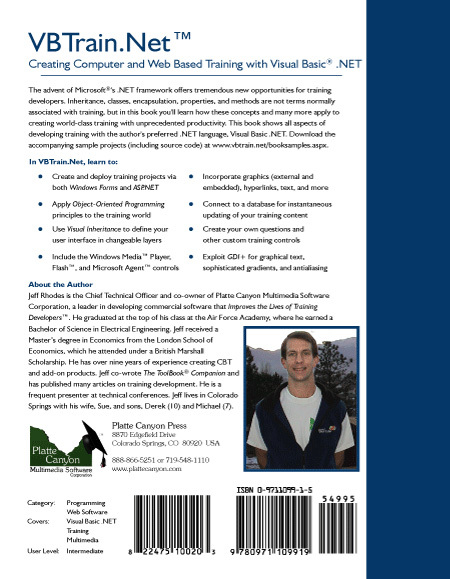 I like the book because it cuts straight to how professional developers of training can use VB.NET. Being well-versed in the ToolBook model of development, it is nice to be shown the similarities and differences. 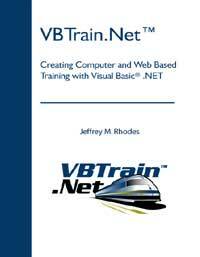 I can see how VB.NET can be used for training.